Are you thinking about purchasing your first home? If so, congratulations! Homeownership is a wonderful experience, and the road to buying your first house is an exciting one. It’s likely different from any purchase you’ve made in the past, so it’s important to be prepared for the unique process. 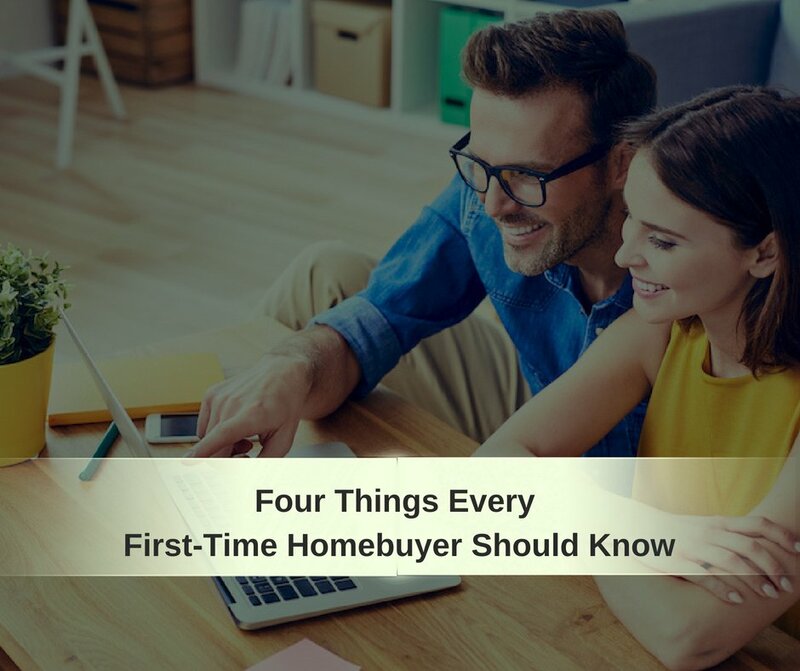 Below are my top four pieces of advice that every first-time homebuyer should know before seriously looking at properties. Before you can begin searching for a home, you must determine how much you can afford to spend. Generally, experts recommend capping your budget at two and a half times your yearly salary and spending no more than 30 percent of your monthly income on mortgage payments. These numbers don’t work for everyone, so it’s important to look at your own financial situation before setting a budget. Once you do select a specific price range, be sure to stick to it. It’s okay to dream, but don’t let your Pinterest board get in the way of what is realistic. Before you begin house hunting, evaluate which features are most important to you. Do you need a master suite, or is a prime location more important? Is a sparkly new kitchen non-negotiable, or will you live with an outdated model if the home has an open floor plan? Ideally you’d be able to find a house with every single feature that you’re looking for, but in reality you’ll have to make some compromises. Along the same lines, remember that many imperfections in a home are merely cosmetic. Things like paint and wallpaper, flooring and appliances can be easily changed. Don’t dismiss perfectly good houses because of interior design mistakes. Television shows make the homebuying process seem like a total breeze, but the truth is that you will have to tour more than three houses to find the one that is right for you. It can feel frustrating to be house hunting for an extended period of time, but trust the system and remember that nobody – not even the people on House Hunters – can find a home in one day. The best way to have a positive home-buying experience is to communicate openly and honestly with your REALTOR®. Let he or she know exactly what your budget is so that you will only be shown houses within your price range. Give your REALTOR® a copy of your non-negotiables. If you are working within a specific timeline, make sure that is communicated. REALTORs® are there to help, but if you don’t express your wants and needs we can’t do our jobs. Good luck with purchasing your first home. It is sure to be one of the best things you’ll ever do! If you don’t have a REALTOR® yet, feel free to reach out. I’d love to help you get the keys to your very first house.